An array of fun activities are set to take place in our backyard. Brentwood Borough is putting together a busy schedule of free events. Our youngest residents can partake in an Easter egg hunt in the green pasture of our athletic fields on April 13th. This group can also get up close and personal with heavy duty vehicles and equipment at "Touch-a-Truck" on June 8th. Guests of all ages can mingle with neighbors while enjoying free entertainment at our May 18th street fair; adults of legal drinking age will additionally be able to purchase refreshing ales from Spoonwood Brewing. Although the pool will not be operational this season due to construction activities, residents can splish and slash in a large inflatable water feature on our May 25th "Fun in the Sun Day." Our summer movie series will kick off on June 15th, and our renowned Community Day will take place on June 29th. Check the Parks & Recreation portion of our website for updates on these and other upcoming programs. Warmer days are on our horizon. Brentwood Borough will provide opportunities for our youths to enjoy the upcoming pleasant temperatures while developing their skills in popular sports. 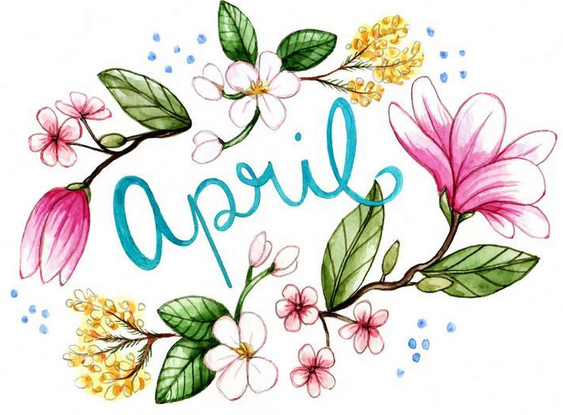 Beginning in April, the Borough will renew its successful partnership with Jump Start Sports, and this entity will host its popular introductory soccer, dek hockey, and basketball programs at our state-of-the-art park facilities. The Borough will concurrently relaunch its "Road Runners" track club. When the school year comes to a close, Jump Start will help to keep area children active and engaged through its themed athletic camps. A total of seven separate programs will be available. For a full list of course description, dates, and fees, visit the Parks & Recreation section of our website. 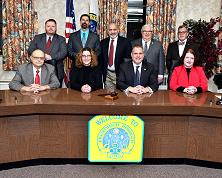 For the fifth consecutive year, Brentwood Borough has been designated as a Banner Community by the Allegheny League of Municipalities. Since its inception, this program has grown dramatically, with 68 boroughs, cities, townships, and authorities in Allegheny County now demonstrating their commitment to effective and transparent government. 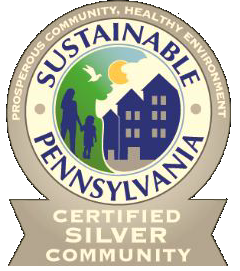 This honor is bestowed upon communities that adhere to the values of intergovernmental cooperation, sustainability, and citizen engagement. Brentwood has observed these tenets through activites such as sponsoring joint anti-bullying presentations with the Brentwood School District, holding Local Government Week open house events, participating in joint procurement programs through the South Hills Area Council of Governments, and posting pertinent information on this website and our associated social media accounts.